Do you miss Don Draper and the crew from Mad Men? Get some behind-the-scenes info while you wait for the final season. Smithsonian Magazine interviewed Janie Bryant, Hollywood costume designer, about her work on the show. Janie Bryant is the style designer for Mad Men, responsible with clothing each and every character for every scene and episode. That’s a lot of fabric! But Janie loves her work – she gushes about the styles and materials she gets to use, the photographs and magazines she pores over for inspiration, and the feedback from the show’s producers and fans. 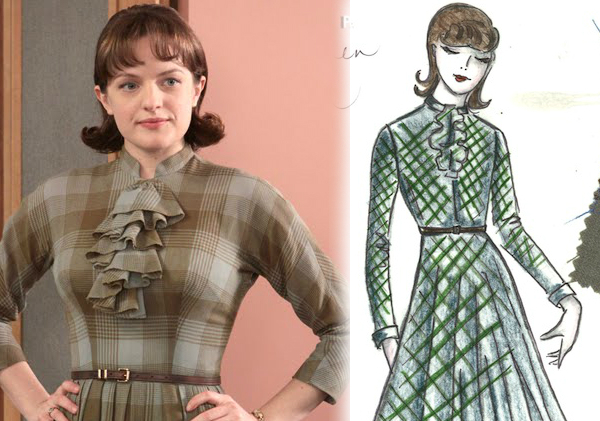 Read the interview (and catch her style sketches for some of her favorite Mad Men outfits) for all the glamorous details.